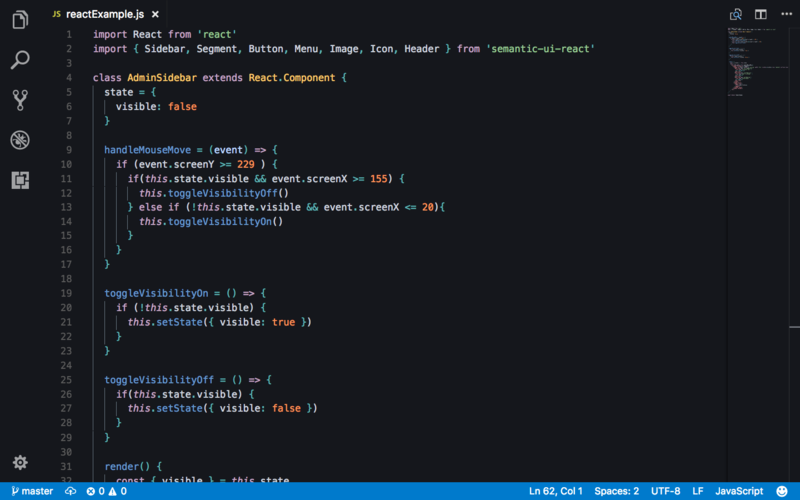 Visual Studio Code>Themes>Oceanic Next Custom DarkNew to Visual Studio Code? Get it now. Dark theme based on oceanic next and the syntax highlighting in react.js documentation.